If you’ve been teaching more than 5 years, I bet you have things in your classroom that you no longer use. Lesson plans, resource books, and student work samples accumulate quickly. It’s hard to figure out what to get rid of and what to keep. Use Marie Kondo’s tips to tidy up your classroom. Last weekend, I binge watched Tidying Up with Marie Kondo on Netflix. I got some great ideas for organizing my house. Then, I started wondering how her tips could help me organize my classroom. Clothing is really the only category that doesn’t apply to school (except taking sweatshirts that are left in your closet to the lost and found). All of the other areas are applicable to the classroom, too. Let’s take a look at each category. Over my 14 years of teaching, I have accumulated thousands of books. 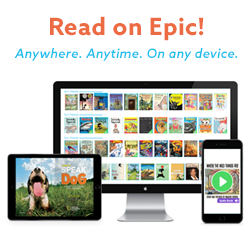 I know what you’re thinking – I’ve spent years trying to find inexpensive books for my classroom library! There’s no way I’m getting rid of them! You definitely don’t want get rid of those books. 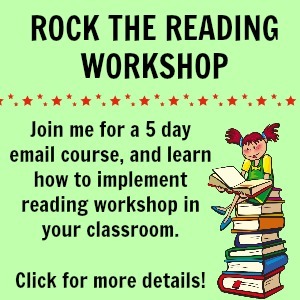 You need a wide array of genres and levels for your students to select, especially if you use reading workshop. I clean out these books as my students bring them to me with missing pages. With my students’ help, I’m able to keep my classroom library organized, and all of those books are getting used regularly. The books I’m talking about cleaning out are the resource and professional development books you’ve accumulated over the years. I have five entire bookshelves full of them in my classroom. Most of them haven’t been touched for years. According to Marie Kondo, you should take all the books off your shelves and put them in piles on the floor. Then, you’re supposed to tap the piles to “wake them up”. I skipped this step so my teammates wouldn’t think I was losing my mind. Marie also says you should touch each book and ask yourself if it “sparks joy”. There are a few books that really do spark joy for me, like Jennifer Serravallo’s Reading Strategies Book. I use it all the time, and it really helps me plan my strategy groups. Most of my other books don’t spark joy for me, but they are useful. Therefore, the question I asked myself was, “Have I used this book in the past 5 years?” If not, I’m probably not going to use it in the next 5 years. Weeding through my books, I found textbooks that went with math and reading programs we had 10 years ago, workbooks from when I taught 5th grade, and things left behind by previous teachers. When I was done, my 5 shelves were consolidated into 2. The next category is papers, and if your desk looks anything like mine, you know how quickly papers can build up in a classroom. Marie divides papers into three groups: pending documents, important documents, and miscellaneous documents. Let’s take a look at each one and how we can deal with them in our classrooms. Marie describes pending documents as things you need to do. In the classroom, this would be papers to grade and forms that need to be completed. Marie says to go through these documents and get rid of them as quickly as possible. I try to get my grading done and papers returned the same day. That way, piles don’t build up everywhere. I also don’t grade everything. Find out how to avoid taking papers home to grade. Important documents are things you need permanently. You should find a place to keep them so you know where they are when you need them. I use binders to organize all my math papers and file folders for all my science and social studies papers. Find a system that works for you so you don’t have to spend hours digging through piles to find one paper you need. I’ve started using Google to create all my documents and store them in Google Drive. I organize everything into folders, so it’s easy to find what I need. That really cuts back on the number of papers I need to store. Marie describes miscellaneous documents as things you refer to frequently. I group my lesson plans into this category, since I look at them throughout the day. 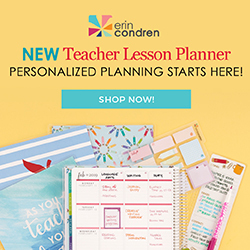 My lesson plans are on the computer since that saves me time, but my Erin Condren Teacher Lesson Planner is on my desk so I can quickly glance to see what’s going on that day. I keep all the other miscellaneous documents in folders and store them in my desk organizer. That way, I can access them quickly when I need them. Marie describes komono as any miscellaneous items. In a house it includes the kitchen, bathroom, and garage. In the classroom, it includes all your cabinets, closets, and desk drawers. Again, you should take everything out and spread it on the floor. Go through one item at a time and decide what makes you happy and is useful. Make a pile of items to keep and a pile of items to throw away or donate. Next, sort the items that you’re keeping. Put like items together. I put all my pocket charts on one shelf of my closet. All my school supplies, like colored pencils, crayons, and glue sticks, go on another shelf. Marie often uses boxes to organize like items. I did this with my math supplies. I put all my fraction strips in a shoebox, dice in a container, and clocks in a basket. Now, my students and I will be able to easily access everything we need. Komono is the area that took me the longest. There are so many little areas in my classroom that get disorganized. When I’m in a rush, I end up just shoving things anywhere there’s a spot. Now that everything is where it belongs, I’m going to try really hard to put things back where they belong. Marie saves sentimental items for last because by the time you get to this point, you should be good at picking out what sparks joy in you. In my case, I was good at deciding what would be useful and what would just sit around for years to come. The sentimental items in my classroom were units I haven’t taught for the past 5 years and trinkets students bought me over the years. I pulled bins of supplies out of my closet for units I loved, but I haven’t taught them since we started using science kits. I cleaned them out and put the items on my donate pile. At this point, I realized I missed some papers in my filing cabinet. I still had file folders packed with papers for old units. I threw them away, and that opened up a lot of space in my filing cabinet drawers. Next, I moved on to items that are sitting around my room that my students gave me. I have little signs, stuffed animals, and notes. I organized my favorites that bring me joy and parted ways with the rest. To help you use Marie Kondo’s tips to tidy up your classoom, I created a checklist of the four categories. You can download it at the bottom of this post. Marie Kondo says it’s important to express gratitude to the things you are getting rid of, so be sure to say thank you to them as you put them in the garbage or into donation bags. Everything that has helped us teach our students and make us better educators definitely deserves our gratitude. Check out these supplies that will help you organize your classroom. Get more tips from Marie Kondo in her book.